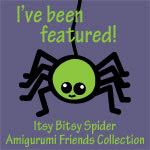 amieggs: long time no blog!! omg I've been so overwhelmed with starting work and everything lately I haven't posted anything in ages!!! and finally classes started... and omg I love my subjects this year!!! I just finished another major in july which I had grown to completely hate for its waste of time... I've spent the last 5 years of my life learning nothing, and now I'm finally studying a wonderful major! I absolutely love every last bit of it, CS rules!!! and on another completely opposite topic, my best friend Silvia & I bought some Blythe dolls around mid-summer... and since then we've been sewing like crazy!!!! thank you everyone for keeping up with my blogging lazyness, I'll try to keep my blog as active as I can while uni & work absorb me... wish me luck!!!! 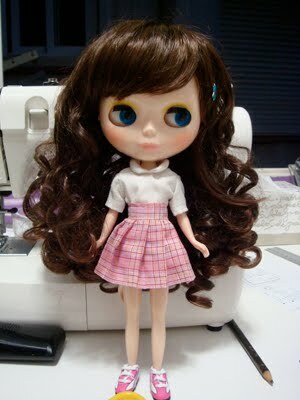 Oooh, I really want a Blythe. My sewing skills aren't the greatest, but I can knit like a nut so she'd have plenty of sweaters. 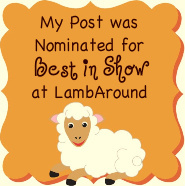 Have you guys considered opening an etsy shop for Blythe clothes? I bet you would sell those closets too! So cute! Ei! I have a good camera & I'm free this weekend! Nice blouse and skirt. They fit perfectly and looked good together. Did you sewed her full closet?